It has been a few months since I returned from Brazil last December. In January of this year I kept myself busier than I probably should have been after coming back and then I caught the flu and then I got busy again so never had a chance to collect my thoughts to compose some reflections from my experience for the first time in South America. If it wasn't evident enough from my social media photo updates, then let it be known I fell in love with the people and culture of Brazil! I found the people to be patient, warm and accepting and the culture to be less individualistic and more social. While I'm sure they have their share of political corruption, economic recessions, class wars and ghetto life of the favelas, I was fortunate enough to not witness such wounded parts of the country. In fact quite the contrary, I found a very healing experience connecting open-heartedly with everyone there. I felt I could walk and talk comfortably in my own skin—given I don't speak a word of Portuguese, ha. I got a feeling they don't use sarcasm and cynicism in their language as much which I find so embedded in our everyday (American) English. I observed my own teaching peak at a level unknown to me before. Almost as if I had been holding back while teaching locally at home. I channeled all my teachers and mentors and felt BKS Iyengar watching over me. I included the Guru chant in all my workshops abroad. I gave my heart out while teaching the workshops and the response was overwhelmingly reciprocated with so much love and respect. I have utmost gratitude for all my hosts: Analu Matsubara in São Paulo, Mauricio Calil and Carla Trindade in Florianópolis, and Fernanda Carneiro in Uberlândia. 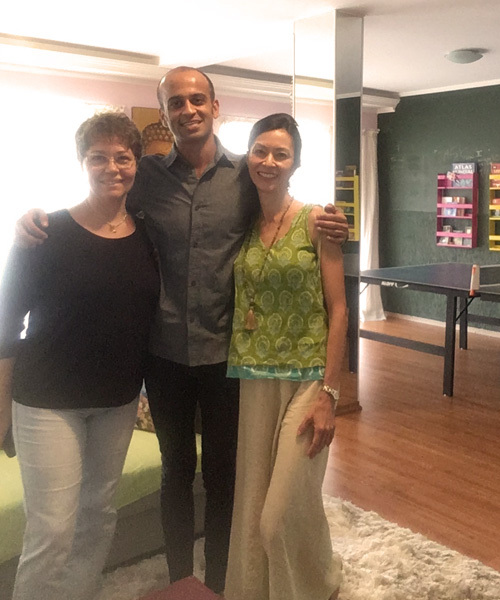 Not only did I appreciate them having faith in me to lead the workshops at their yoga centers, but also for being the most accommodating hosts I could've asked for. I was always in good company with an English speaking friend who could help me translate Portuguese, not just the workshops but also during my whereabouts. I ate delicious meals, drank some of the best coffee I've ever had and got plentiful pão de queijo (Brazilian cheese bread). I got to experience their traditional Forró dance, check out live samba music, tried doing yoga asanas on a paddle board (so fun and challenging!) 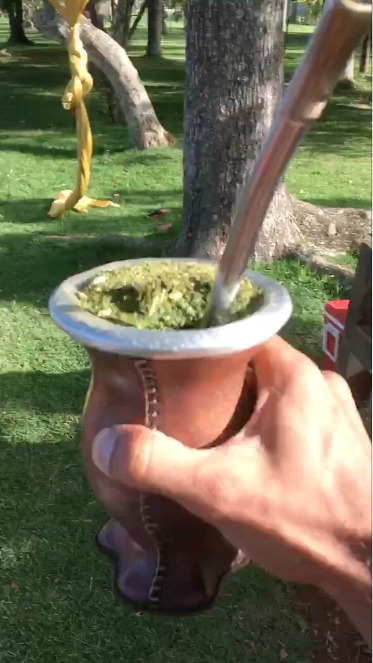 for the first time, and also drank my first chimarrão (mate tea) drink in South America. I even took a mini vacay within this vacation and made yogi friends in Bahia where I discovered a car-free village on the northeastern tip of Brazil known as Morro De São Paulo. No cars, no Starbucks, no McDonalds, and no Americanos. Paradise Island! Reflecting back, I think it was all cosmically aligned and meant to be for me to visit Brazil last December. Upon arriving, Analu arranged an interview with Folha de São Paulo, Brazil's most widely read newspaper. I was asked questions about life as a yoga teacher, working with the inmates at San Quentin prison, and growing up as a Pakistani American. I felt myself speaking and connecting to many people across the nation. My career as a yoga teacher took a big jump with my first set of international yoga workshops. I feel so fortunate to have the experience from Brazil to carry me forward. I am happy to announce I will be returning back December 1st! Teaching in Rio for the first time and back to São Paulo the following weekend.